It's hard to imagine that the original Deadpool almost didn't happen. Its test footage "leak" was the catalyst to having Fox, who owns the movie rights to the character, finally knowing exactly what they had. Deadpool was also a gamble as many 'R' rated films generally don't pull in the amount of money that your typical superhero film rakes in. Thankfully, Deadpool was a massive success and that has led us to its sequel, a film that is better in each and every way. 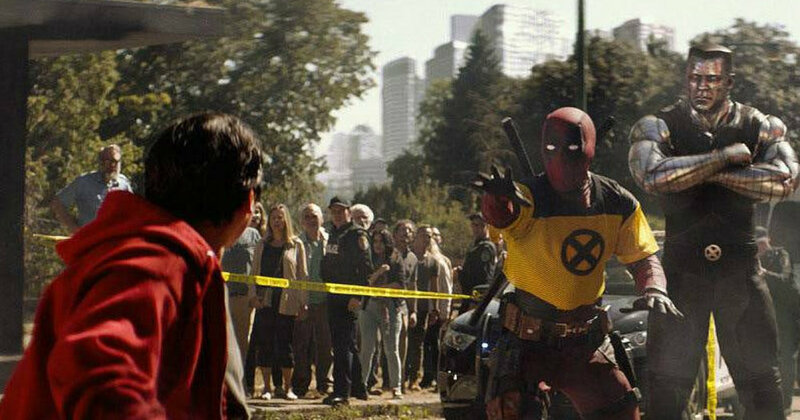 It is safe to say that this is the role that Ryan Reynolds was born to play. While Reynolds had significant input in the first movie, he is credited as a co-writer this time around. When production on the sequel was set to begin, the original director, TIm Miller, was reported to have left the project due to creative differences between himself and Reynolds. The substitution to one of John Wick's directors, David Leitch, filled those shoes with ease and has delivered a superb follow-up. During the stinger of the first Deadpool, the merc with the mouth himself promised us Cable, and they delivered on that in spades. While Deadpool 2 starts to bring together the X-Force, as the marketing has shown us, this is still very much a story about Deadpool himself and his own personal journey. I was surprised at how much heart this movie has and how well it integrated not just X-Force, or at least the origins of it, but Cable's own personal story as well. Sequels tend to go bigger than their predecessor, often forgetting what made the original so perfect. Thankfully, Deadpool retains what made it so great and again offers a small story set in a big world. There isn't a world-ending scenario in this superhero film, but rather one of doing the right thing when the situation calls for it. Deadpool 2 brings with it everything you love about the first film and doubles down on the cast of characters while also ensuring that Deadpool is front and center through the entire film. The story is centered around Wade Wilson (Ryan Reynolds) and Vanessa (Morena Baccarin) talking about having children, something Wade thought would be impossible after the events that lead him to be what he is today. This leads Wade on a quest to save a kid that is being hunted by a time-traveling madman, Cable. While yes, I am flying through the plot here, there are several moments leading up to this that I'll let you discover on your own. While the truth behind Cable's mission is one that is understandable, Deadpool will stop at nothing to ensure the safety of the young mutant, Russell. In his efforts to stop Cable, Deadpool puts together the X-Force, his own mutant supergroup consisting of a band of misfits and a normal regular guy, Peter, who simply responded to the ad. While Deadpool broke the fourth wall and made several referential jokes in the first film, the sequel goes even further. The film makes several jokes about the DC film universe, the recent Infinity War movie, and even a few jokes about Ryan Reynolds himself, a few of which got massive laughs, so make sure to stay during the credits. Given that comedy is a fickle thing, not all the jokes land, but the large majority of them do. Deadpool first and foremost, is an action comedy, so while there are several serious themes used throughout the movie, it never dwells on them long enough to change what type of movie people are expecting to see. There are a few gags that are played out far too long, like the one at the end that just seemed to go on forever. The original Deadpool was filled with non-stop laughs and the same can be said of this film as well. A few returning characters are back and while Dopinder has far more to do this time around, several supporting characters like Weasel (T.J. Miller), Blind Al (Leslie Uggams), and Vanessa (Morena Baccarin) have much smaller roles than in the previous film. 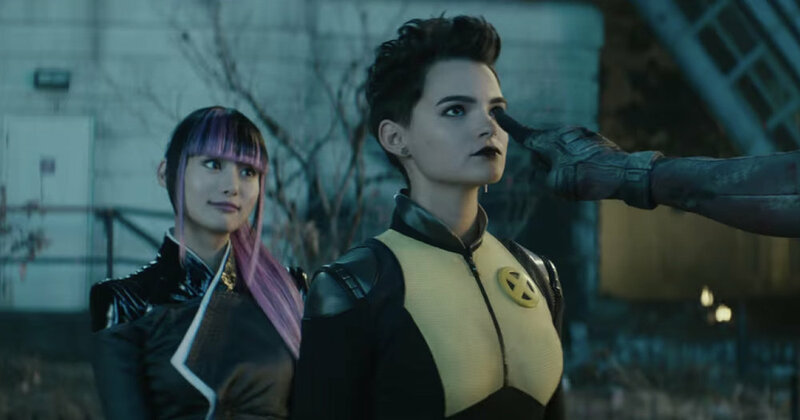 This is also true of Negasonic Teenage Warhead (Brianna Hildebrand) as well as while she is in several scenes, her use doesn't feel as substantial as it was in the prior film. Stefan Kapicic is back as the voice of Colossus and has considerably more to do here. 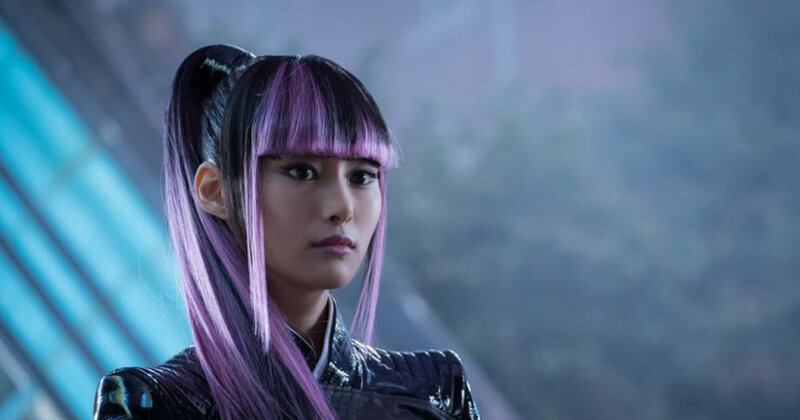 The newest member to the X-Men team is Yukio (Shioli Kutsuna) and while most of her scenes are saying hello and goodbye to Deadpool, she is a fun fit into the movie and is given one pretty great scene much later on into the film. While I'll talk more about Domino in a bit here, the remaining members of X-Force are serviceable but are not given the time here to really develop past their initial introductions. The kid that Deadpool is attempting to save from Cable is Russell, as played by Julian Dennison. While he does have a few decent scenes at various points throughout the movie, he reminded me too much of Rebel Wilson, known to many as "Fat Amy" from the Pitch Perfect movies. As I am not a fan of the actress in any respect, the similarities between Dennison and Wilson create a character who I just couldn't get behind, at least most of the time. There are a few scenes where Dennison is fantastic in the role, but many of the scenes that took place in the prison bordered more on annoyance than genuine humor. Zazie Beetz as Domino was a casting choice that didn't sit right with a lot of people as the character has a very different look in the comics. That being said, Beetz is remarkably charming in the role and really added a lot to the film. The ways in which her luck-based powers were shown on screen almost reminded me of the ways in which Final Destination would have these weird moments conspire into a domino effect of events occurring to set up the various kills, and yes, that pun was intended. Whether it's a guards gun locking up or Cable tripping as he fires a rocket, Domino has some of the best scenes in the movie and one, in particular, that has the character reading the current situation as a "hell no" moment and walks away. Casting Cable was always going to be a tough choice as the character is incredibly iconic. Apart from a glowing cybernetic eye, the comic book character isn't known for wearing a mask, so the look of the actor needed to match at least to a certain degree. 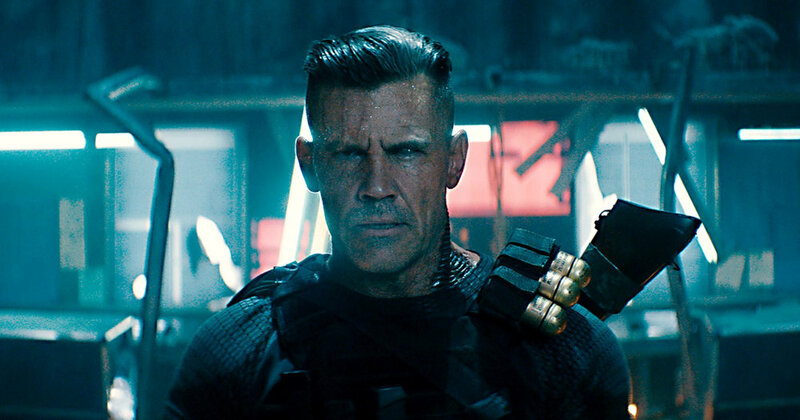 While many people wanted Stephen Lang from Avatar in the role, I was delighted when Josh Brolin was cast as the actor is damn near perfect here. The film does dance very lightly around his origins, and the world he comes from, but what is here is really entertaining and the chemistry between him and Reynolds is phenomenal. Deadpool 2 is a well shot and put together sequel that brings together everything you want in a Deadpool movie. It has a larger cast of characters; several new and returning ones, and a boatload of cameos and pop culture gags. Apart from some slow pacing in the first act and a gag that goes on far too long at the end, Deadpool 2 is a more satisfying movie than its predecessor. Deadpool, Domino, and Cable are each fantastic in this movie and used to great effect. I'm super pumped to see the three of them return in either a Deadpool 3 or the much talked about X-Force movie. PRODUCED BY: MARVEL ent. / 20th century fox / genre films / the Donner's company.